Located on Spain’s northeastern coast, Barcelona is the largest metropolis on the Mediterranean Sea with a population of 1.6 million people. 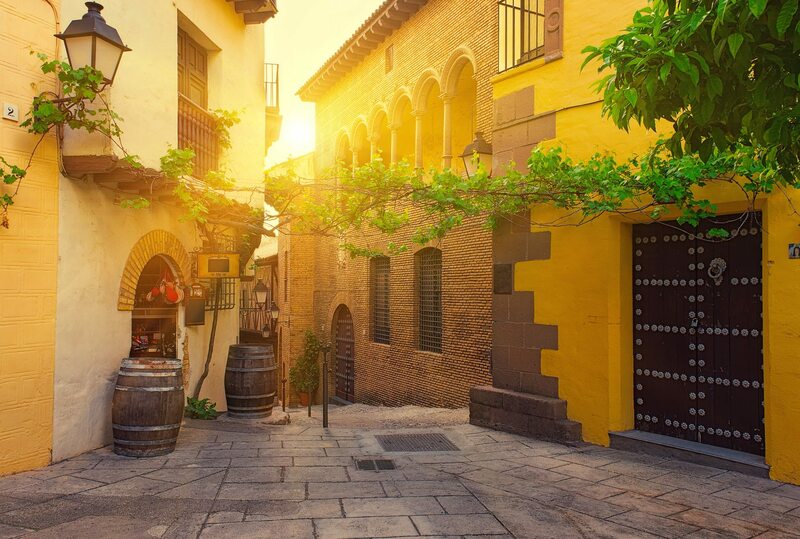 As the second largest city in Spain and capital of the Catalan region the city is full of culture and history. 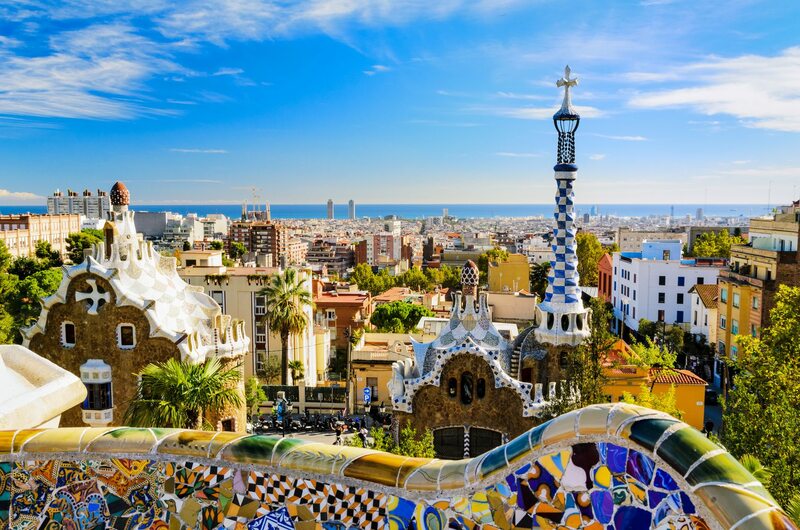 From the architectural works of Antoni Gaudi, such as the world renowned Sagrada Familia and Park Guell, to the forever spirted La Rambla and Olympic Port, Barcelona is one of Europe’s most visited cities. People from all over the world continue to flock to the city to enjoy its beautiful sandy beaches and attend football matches of FC Barcelona at their home, Camp Nou. With a thriving social life for nights out at restaurants, clubs and bars, along with good weather for most of the year it is easy to see why Barcelona is one of the premier destinations in the world. This beach was created for the celebration of the Olympic Games in 1992. It was created in order to attract all types of audiences; from the most daring who can participate in nudist activities or sports performances, to the most familiar who can enjoy the sun and the surroundings while the kids have fun at the playground. 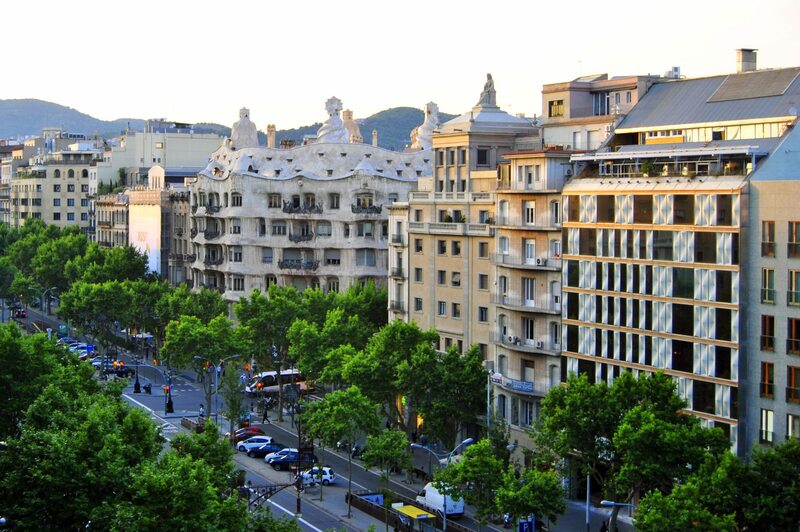 Barcelona is similar to New York City, in that it is a city that never sleeps. There is always something going on, you just have to find it. Night-time activities can range from eating at a restaurant that is open late, to going dancing, to just relaxing in a lounge. 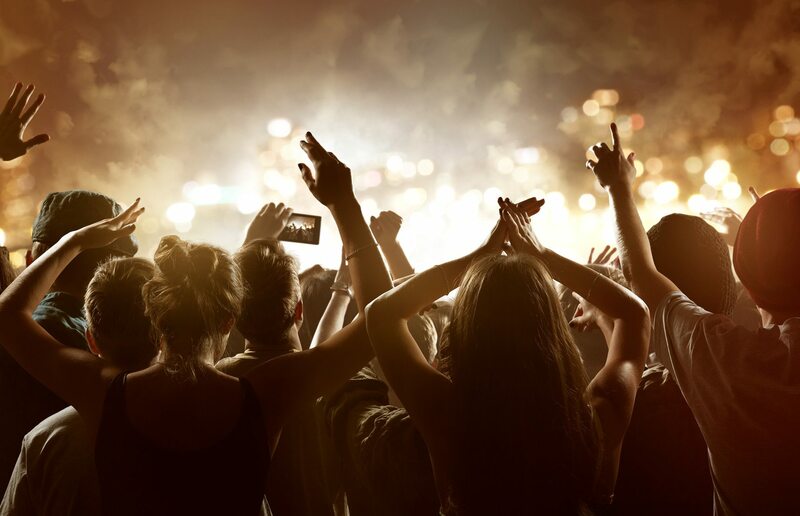 During the warmer parts of the year there are even more options that become available, such as outdoor movie theaters and discos. 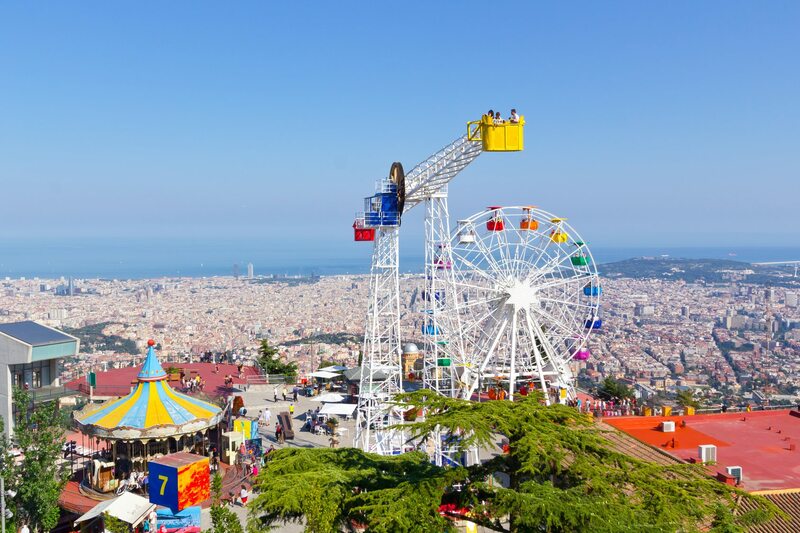 The lifestyle of Barcelona coupled with the variety of nightlife activities that are going on within the city assure you that there is never a dull moment. 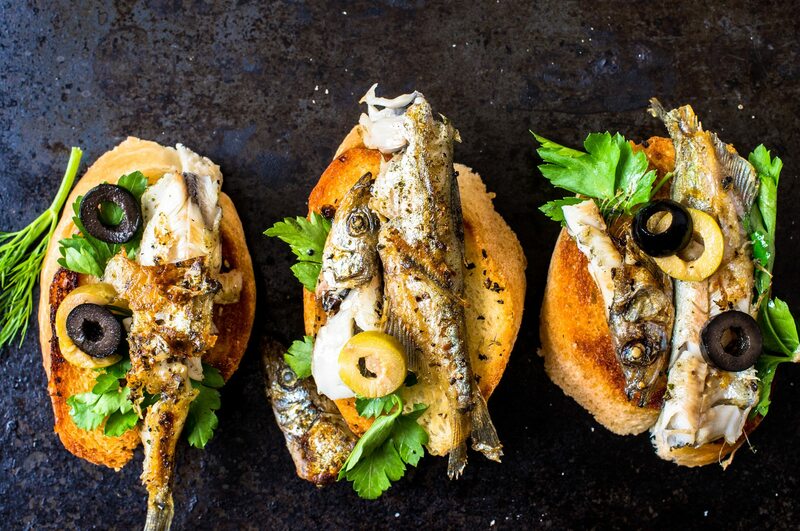 An important part of any culture is its cuisine, and this is no different when it comes to Barcelona. Everywhere you turn you will surrounded by nice restaurants, take-out places, bakeries, cafes, and ice cream shops, which makes it a little hard to decide what to have and very easy to spend all of your Euros. One of the best features about dining in Barcelona is that the majority of the ingredients are local, due to the city´s proximity to the Mediterranean Sea. This allows for fresh seafood, as well as food from local livestock and produce, to constantly be available. As with any foreign city, we recommend having an open mind and to be willing to try any and all kinds of food that you come across in order to truly experience that aspect of the culture. 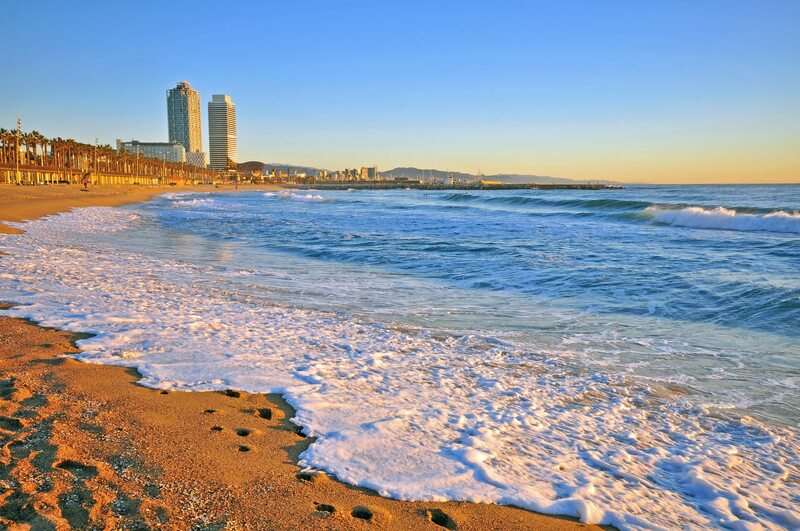 This beach is located in a seaside neighborhood of Barcelona, of the same name, Little Barcelona. It is a perfect spot to enjoy the best fresh fish in all of the city. Moreover, one can swim and play sports in the waters of the Mediterranean Sea. This outdoor museum was constructed for the International Exposition of 1929. It is a very unique place containing streets, plazas, and theatres. Each area represents different aspects of Spain during that time, but in smaller dimensions. They also contain characteristics of each region, so the public can briefly view the wonders of their beautiful country. This museum is located in a building representative of the maritime history of Barcelona, and is located in the royal shipyard at the foot of the Montjuïc Mountain. 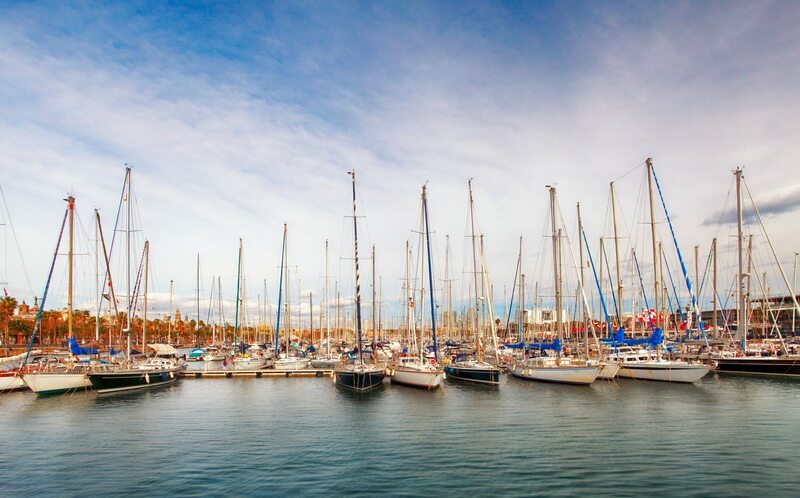 This place has gathered the great importance of maritime trade for the citizens of Barcelona, and was named a historic-artistic monument in 1976. 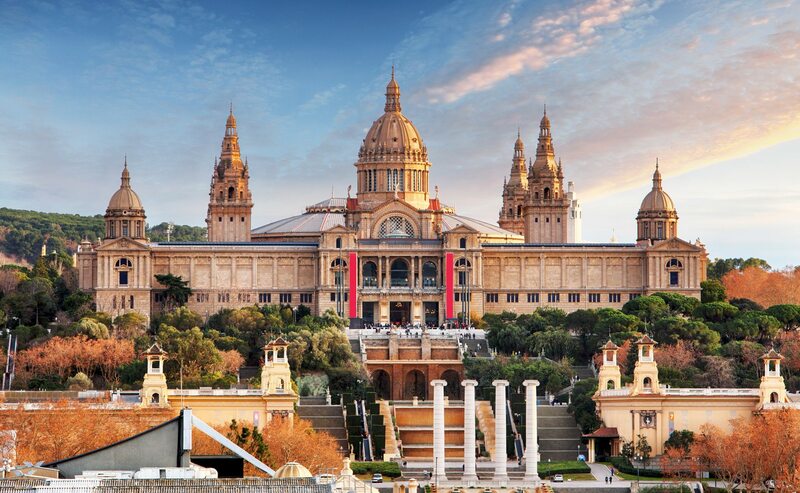 This museum is located in Montjuïc and opened its doors in 1934 with a collection of medieval art that has been expanding its catalogue since. Because of this, it has transformed into one of the most outstanding museums due to its amount of Romantic art. It is recommended to see the murals, the Gothic art, Renaissance, Baroque, and Catalonian Modernism. Overall, it is a museum that brings an exemplarily collection and knowledge of art. 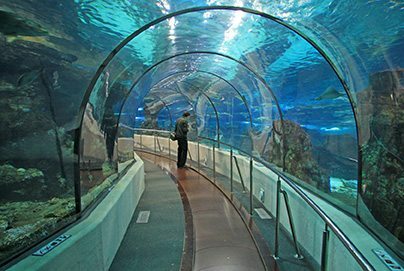 The Barcelona Aquarium is one of the largest aquariums in the world. It is located in the Maremagnum, and is home to over 11,000 fish. The aquarium is divided into three parts: Mediterranean, tropical, and oceanic. It is an ideal place to discover the marine world through an educational perspective. This museum was created by the provincial bakery guild of Barcelona and is located in Sant Agustí ´s old convent, which is related to this nutritious product during the 18th century, as the Bourbon army heavily consumed chocolate. The aim of this museum is to enthusiastically discover the history of chocolate through information and activities. 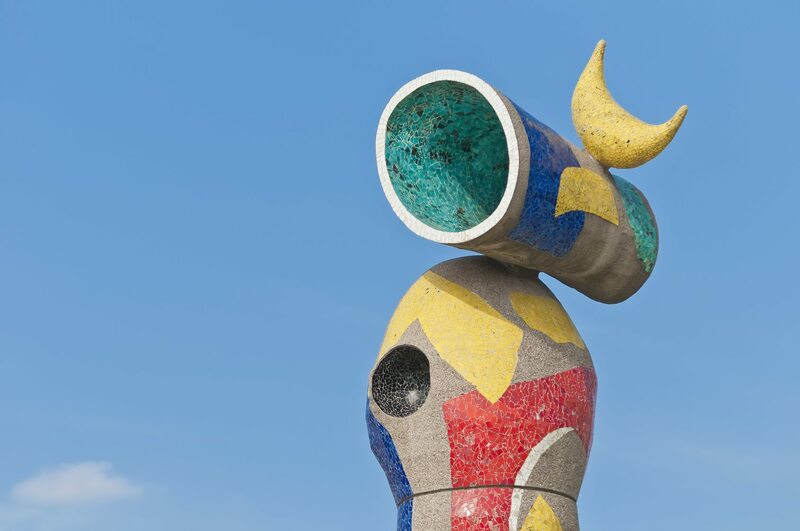 This foundation was created by the artist Joan Miró in 1975, with the intention to house an international Mironian space in Catalonia. Initially it was created for the personal works of artists, however later it was converted into a center of investigation for contemporary art from the 20th and 21st centuries. It is important to highlight the structure of the foundation’s building which was designed by Josep Lluís Sert. The building’s architecture serves as a perfect complement to the paintings that are housed inside. This museum is dedicated to the famous artist Pablo Picasso. It is built out of concrete and designed to complement the works of young Picasso up to his blue period (a period of time between 1901 and 1904). The museum contains more than 4,000 works in its interior, and anyone who wants to learn more development of Pablo Picasso they should visit this museum. This mall, opened in 2011, is unique because it combines culture, shopping, and leisure in one building. 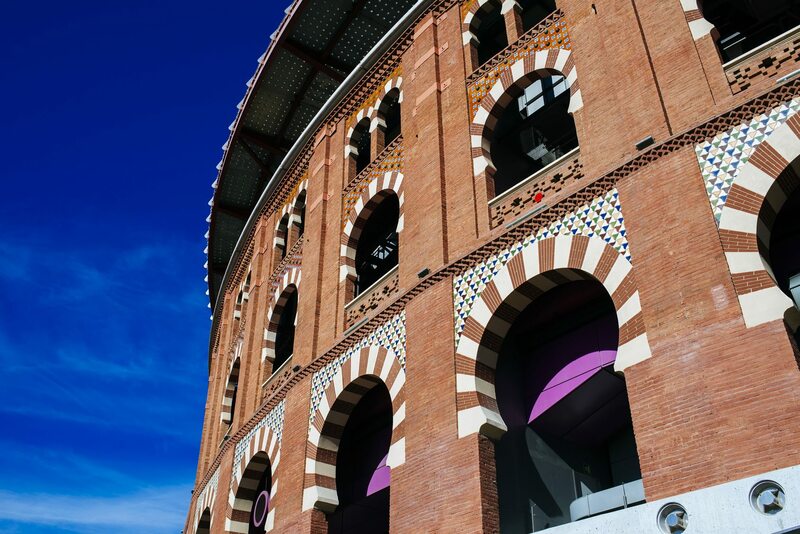 The mall is located in front of the “Plaza de España” Plaza of Spain which was modeled after the old “Plaza de toros de las Arenas” Plaza of bulls. A congregation of museums (including the “Museo del Rock” Museum of Rock and Roll) serves as a cultural frame to this mythic place. One can find leisure in the movie theatre with activities for all public and business in its interior. Here one can find clothing stores, restaurants, and many more shopping venues. Overall, it is the perfect complex to shop while marveling at the surroundings. This is the central most important avenue in Barcelona. Because of its architectural importance (It is surrounded by monuments designed by Antoni Gaudi and Lluís Dòmenech i Montaner), it was declared a world heritage site. This was because it is located near the most popular stores. It also is a popular national and international scene in which thousands of people pass through everyday. 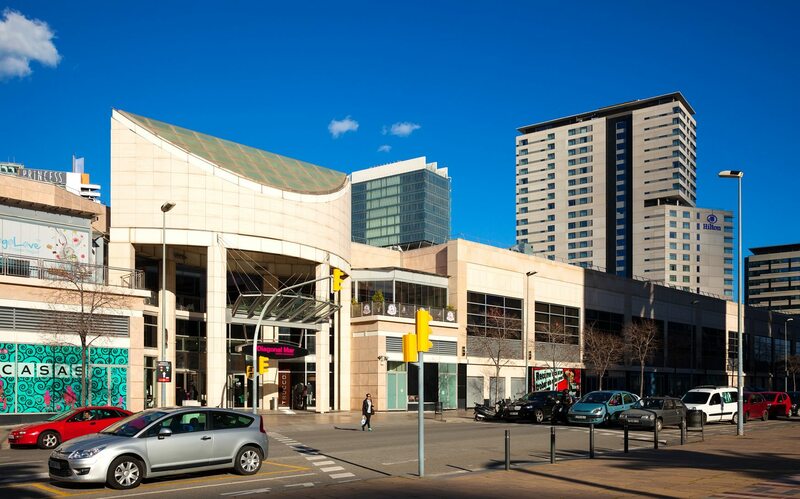 This is one of the largest and most modern malls in all of Spain. It is found in the neighborhood of San Martí and its interior houses more than 200 clothing, house, and food stores. Moreover, it is credited with having the leading restaurants in the nation and 17 cinemas. Overall, it is a commercial complex for whichever type of person. 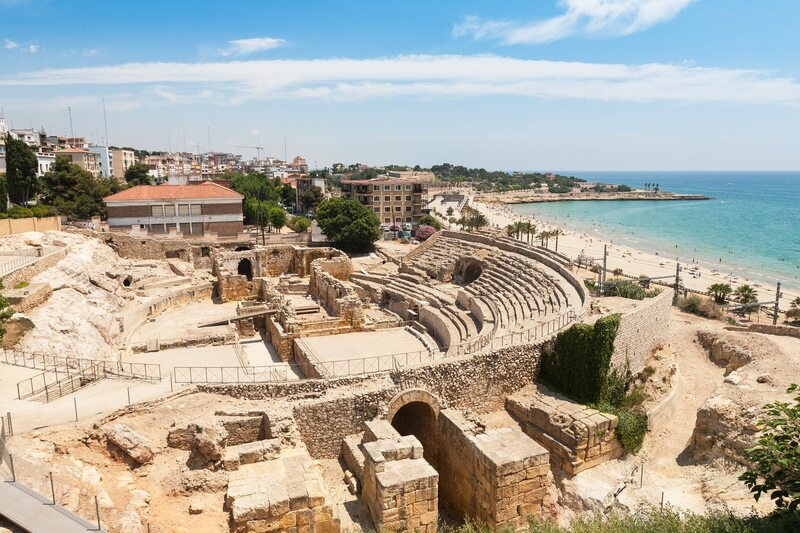 Tarragona is the second most important providence of Catalonia because of its Roman architecture which includes an amphitheater and aqueduct. The entire archeological site is a UNESCO World Heritage site. In the city, not only are the monuments important, but also the Mediterranean Sea beaches. If one wants to enjoy the attractions, it is recommended to visit “PortAventura” theme park, which is one of the largest theme parks in Spain. The city of Barcelona has a unique architectural charm. Similar to the Catalan capital, what stands out among the monuments is the Cathedral of Gerona, the houses perched on the river Onar, Independence Plaza and its popular festivals that flood the streets with people: the festival of San Narcisco (dedicated to Narcisco, the patron saint of the city), and the “Tiempo de flores” (a festival celebrated in May where the public can marvel at the streets of Girona which are flooded with flowers. 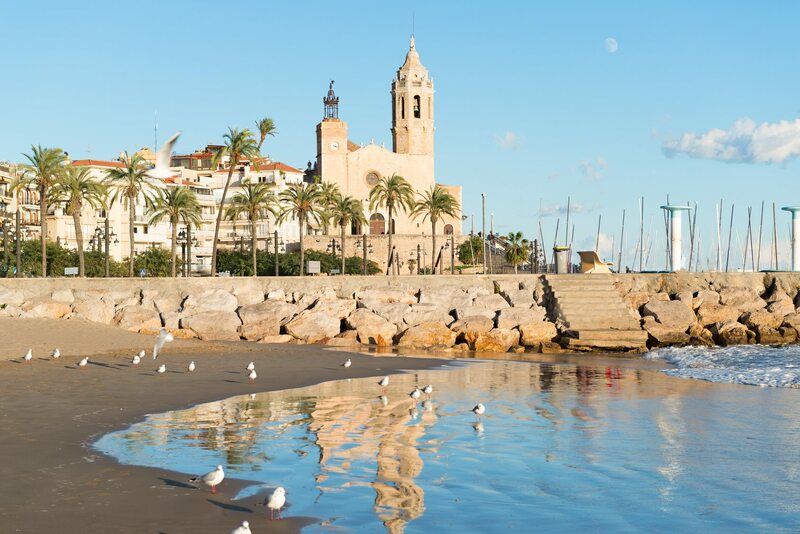 Sitges is a city on the coast of Barcelona. It is known for being one of the most visited places during the summer months. Moreover, it is home to the best urban beaches in all of Europe. An interesting highlight of the city is that it hosts the “Festival de Cine Fantástico” Fantastic Film Festival every year, which has gained worldwide acknowledgement. Montserrat is considered the most important rocky mountain of Catalonia. On the mountain there is a sanctuary and the Monestary of Montserrat, which is dedicated to the Virgin of Montserrat. Each year, thousands of visitors flock to this place to vist the Virgin, who is characterized by her black skin and small size. For those who are not devout followers, it is also a perfect place to go hiking or simply to take in one of the most natural and magical places in Catalonia. The 11th of September is known as Catalonia or Dyad Day. This day commemorates the Catalan freedoms against the Bourbon troops that lasted over 300 years. Almost the entire population is in the streets during this day of celebration. 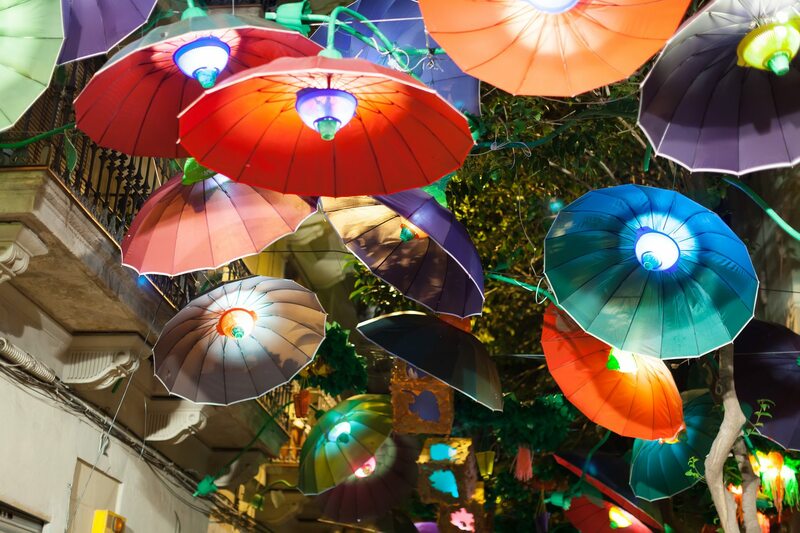 The Gràcia Festival is the largest representation of neighborhood celebrations in Gràcia. Although its origins are vague (it is not exactly known to whom they pay tribute: San Roque or the Virgin of August). Nevertheless, the city’s participation is shown through various activities: dances, workshops, and popular food; all surrounded by the beautiful neighborhood. 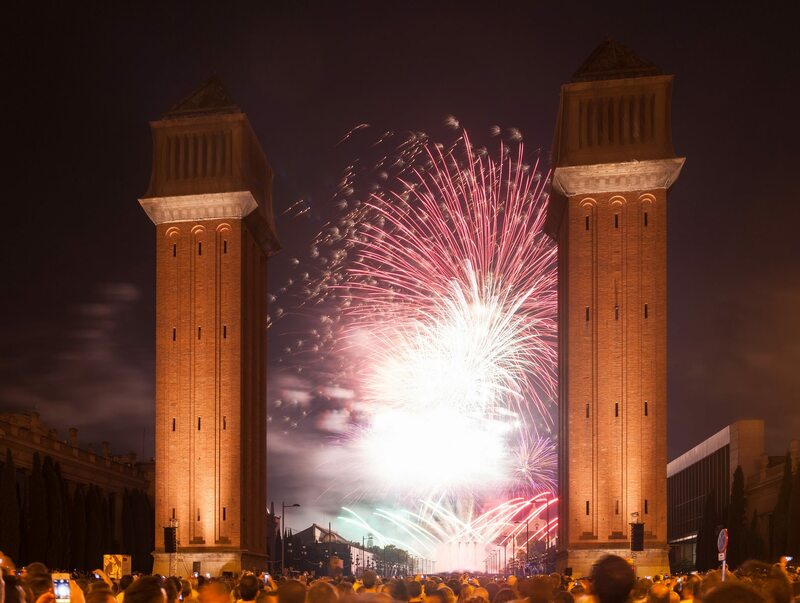 This holiday is celebrated in honor of the Virgin of Mercy on September 24th, and is the biggest holiday Barcelona has to offer. 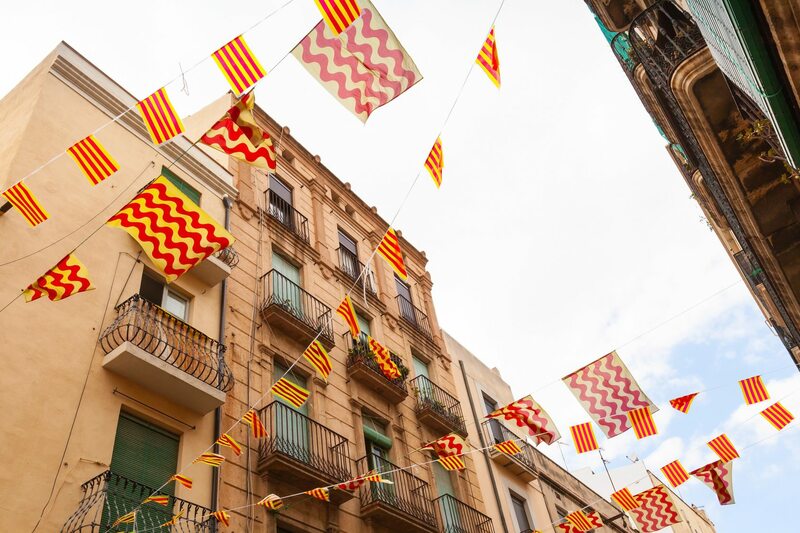 In 1980, it was declared the National Day of Tourist Interest for honoring the tradition of the Catalan region and its influence on society. Venturing to see and feel this celebration is a good way to discover the lively cultural atmosphere of Barcelona. Vell Port is the oldest part of the Port of Barcelona. From here, sporting expeditions and cruises embark on their journeys. Inside, one may find the “Maremagnum” mall. Each year more than 16 million people visit this mall! 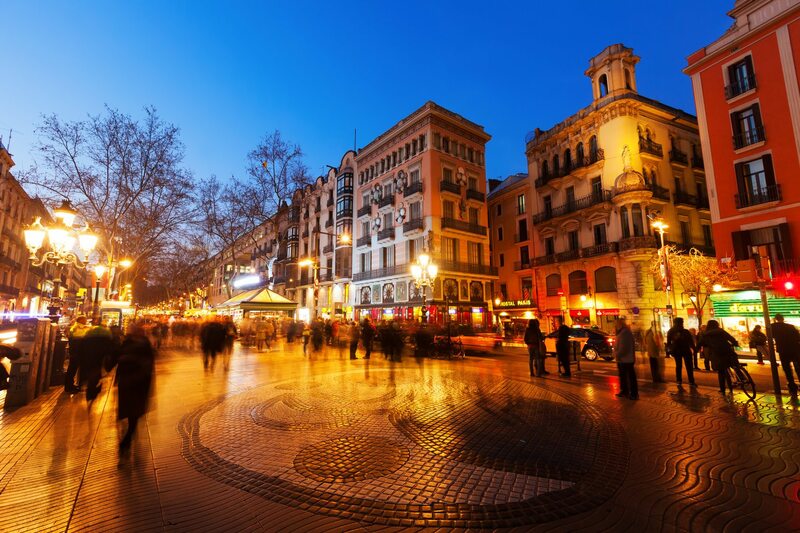 Located very close to La Rambla, people of diverse nationalities gather in this plaza, due to both its great festive environment and the shops it has inside. 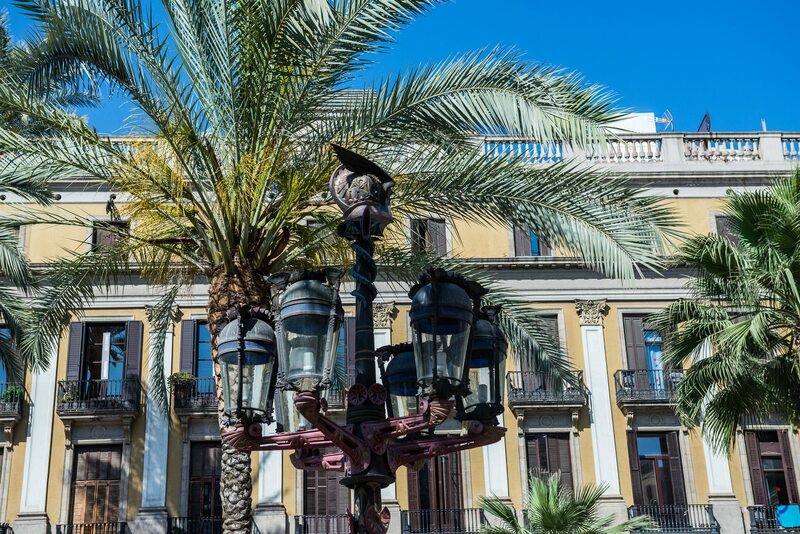 Additionally, one can see sculptures like the fountain of the three graces, designed by Antoni Rovira I Trias, the lampposts of Antoni Gaudi, and timeless scenery, thanks to the large palm trees. This market, also known as “La Boquería,” is located in La Rambla and is of great importance to the citizens of Barcelona, being considered one of the best international trading markets. It was first opened in 1840, on the land of Saint Joseph’s convent, being the first municipal market in the city. 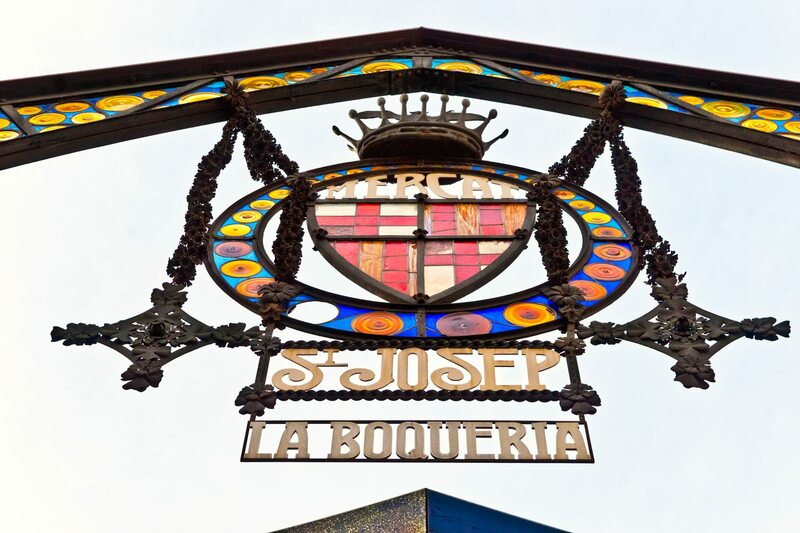 At La Boquería, there is a constant flow of tourists who come to both see and buy fresh products from Barcelona. The Park of Ciudadela is one of the most important parks of Barcelona. It is situated in the Ciutar Vella neighborhood. 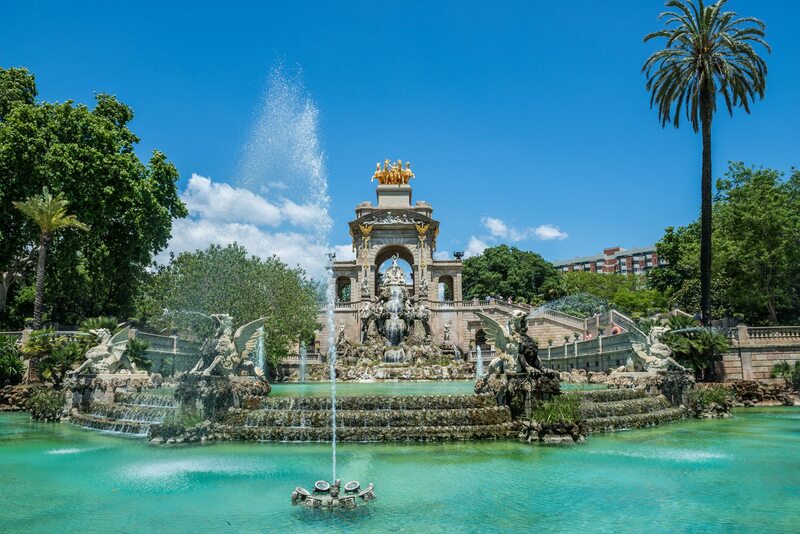 The citizens of Barcelona flock here to find tranquility in the sprawling 17 hectares that the park offers. Also inside of this park there are other famous monuments like the Three Dragons (now a Zoology Museum) and a cascading waterfall. 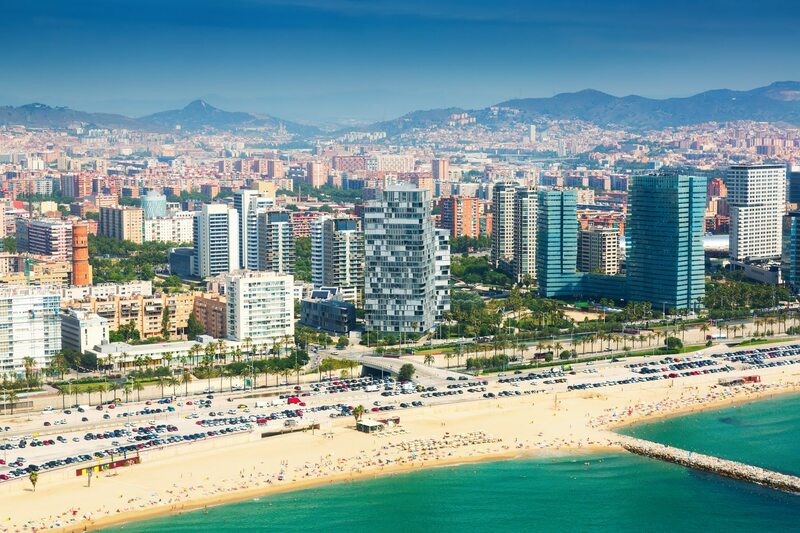 The environment is perfect for getting out to enjoy fresh air while being connected with nature, all inside of the metropolitan city of Barcelona. The Plaza of España (or Placa d’Espanya in Catalan) was constructed for the International Expo of Barcelona in 1929. It serves not only as a tourist attraction, but also as a shopping center, with the “Las Arenas” Mall. Additionally, right beside this impactful Plaza de España there is the Magic Fountian of Montjuïc (it’s recommended that you see the spectacular light show). 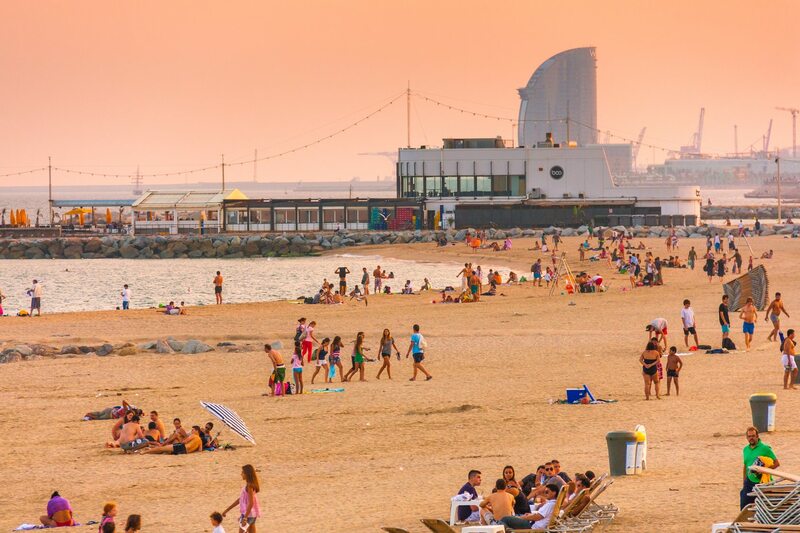 The Barceloneta is one of the most popular beach zones of Barcelona. It was created in the form of a triangle and it grants access to the Olympic Port and various beaches (Barceloneta, Somorrostro, Sant Sebastía and Sant Miquel). It is a perfect place to experience high quality fresh seafood and enjoy the sunset on one of the many terrace restaurants. The Carmelo is one of the most popular neighborhoods in Barcelona. Throughout this artsy part of town Gaudi’s Güell Park and the monument of “David and Goliath” that is dedicated to the International Brigades can be found. You will be surprised by the modern adaptations that are present, like escalators and elevators, that provide access to certain zones. We recommend that you climb to the tallest part in order to contemplate and fully enjoy the splendor the view has to offer. 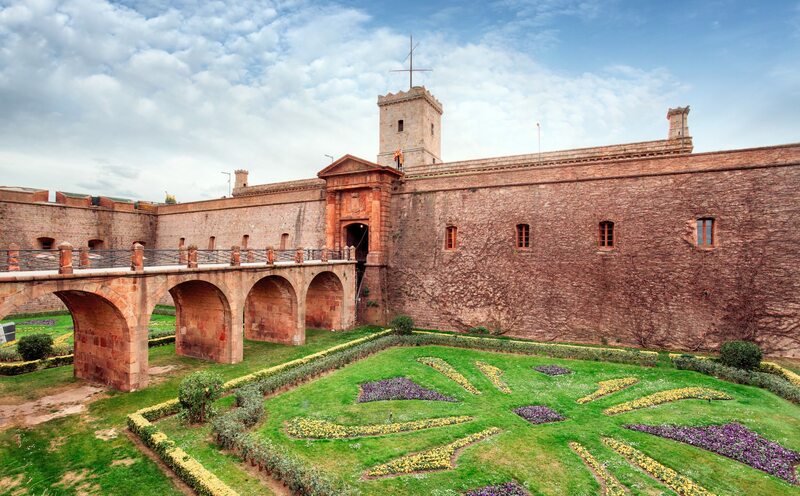 The Castle of Montjuïc is found near the port of Barcelona. When it was constructed in 1640 it served as a fortress. Inside, many battles have occurred and many soldiers have died due to Spain’s political History. During the age of Franco, it was a prison and a weapons museum. Now it serves as the town hall of Barcelona and a war museum. El Tibidabo, also named the Montaña Mágica (Magic Mountain) is a park that is situated on one of the tallest peaks in Barcelona. 512 meters tall, it is one of the best places from which to observe the entire city. On the inside one will find: the oldest amusement park in Spain (founded in 1899), el Tempo del Sagrado Corazón (The Temple of the Sacred Heart), which is designed in a Neo-Gothic style, from this part of the monument one can an amazing view; the Tower of the Collserola, which was constructed for the Olympic Games in 1992, and finally the Fabra Astronomical Observatory. La Pedrera is one of the most important modern buildings in the world. Designed by Gaudí, it is considered on of his most emblematic works due to its artistic character and functionality. 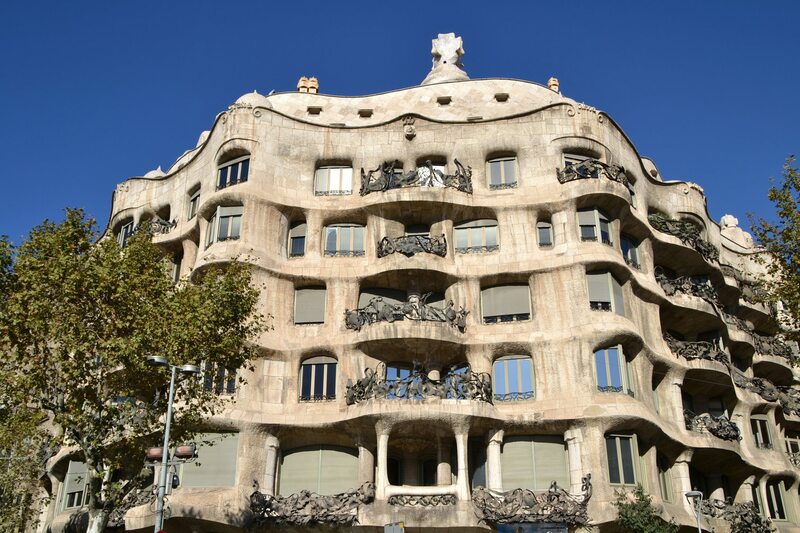 La Pedrera, also known as Casa Milà (the family who commissioned the work) is situated in the Paseo de Gracia of Barcelona and in 1984 it was recognized as a World Heritage site by UNESCO. The heart of Barcelona’s city center, Plaça Catalunya, is where many elements of the city converge. Located at the intersecting points of iconic streets such as La Rambla, Passeig de Gràcia, and Rambla de Catalunya it is the perfect place to start your journey. 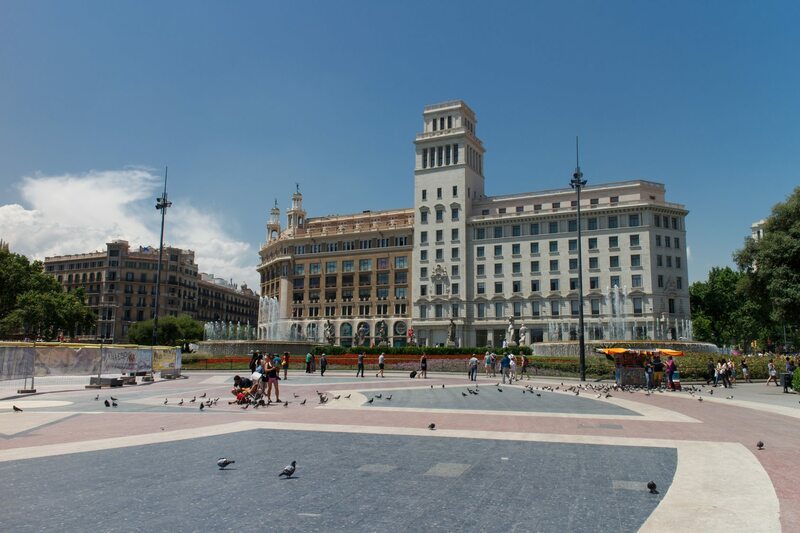 Whether you are looking for shopping at Portal de l’Àngel or beautiful architecture, Plaça Catalunya can be the launching point for all of Barcelona. 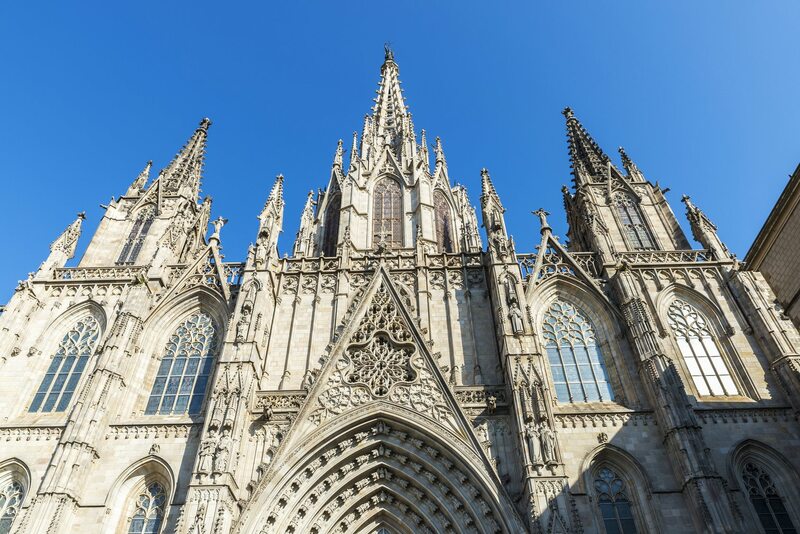 The cathedral is one of the most important points in Barcelona’s Gothic quarter and another great place to visit. Located within walking distance of La Rambla, the cathedral and especially the plaza in front of it are common meeting places for tours that go on to explore old town Barcelona. 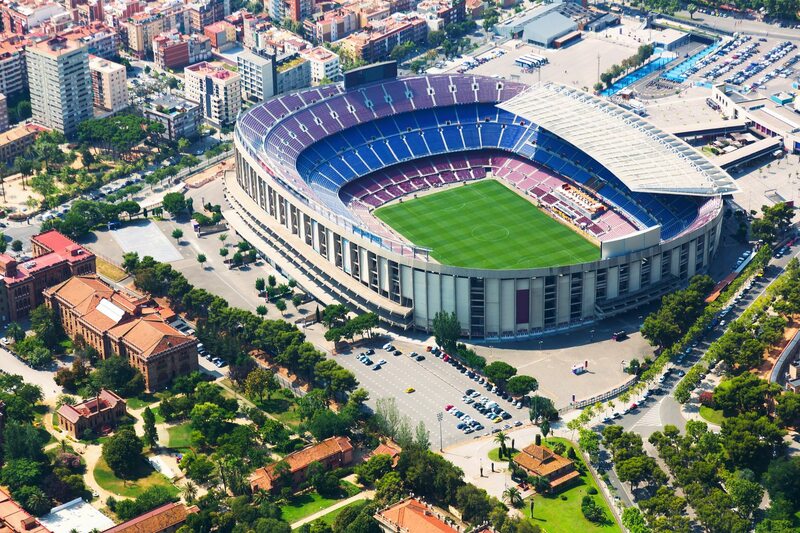 The Nou Camp is the largest stadium in Europe and home to one of the world’s most famous football clubs, FC Barcelona. Full of history from hosting iconic events like the World Cup, Olympics, and Champions League finals it is a must see for any soccer fan. Catch a match on the weekend or take a tour and peak behind the scenes at this historic stadium. Parc Güell is another of Catalan architect Antoni Gaudi’s works within Barcelona that is part of his UNESCO World Heritage site. An expansive park it is full of beautiful mosaics, sculptures, and buildings all by his design. The park also contains a museum in Gaudi’s old home for those with a deeper interest in the famous architect. 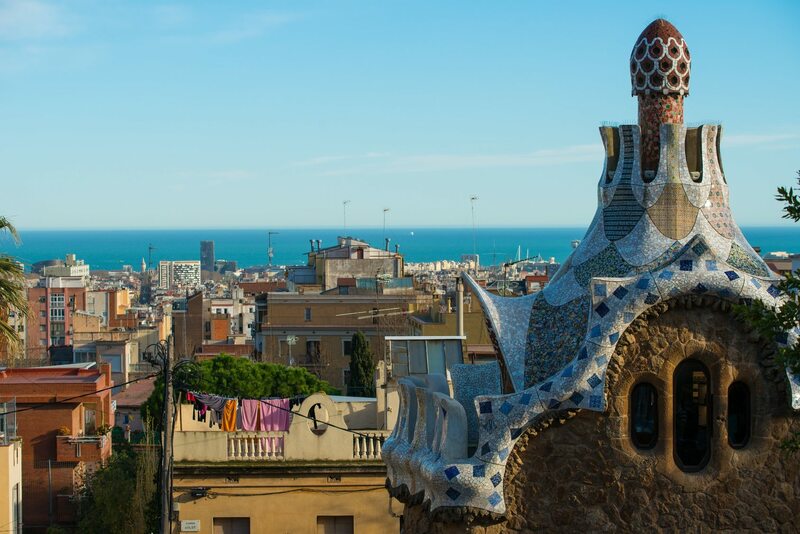 Finally, the top of the park contains a tiled terrace which makes up one of the most iconic views of Barcelona. La Sagrada Famila is perhaps one of Barcelona’s, and Spain’s, most famous monuments. The unfinished church, began construction in 1882 that continues today. 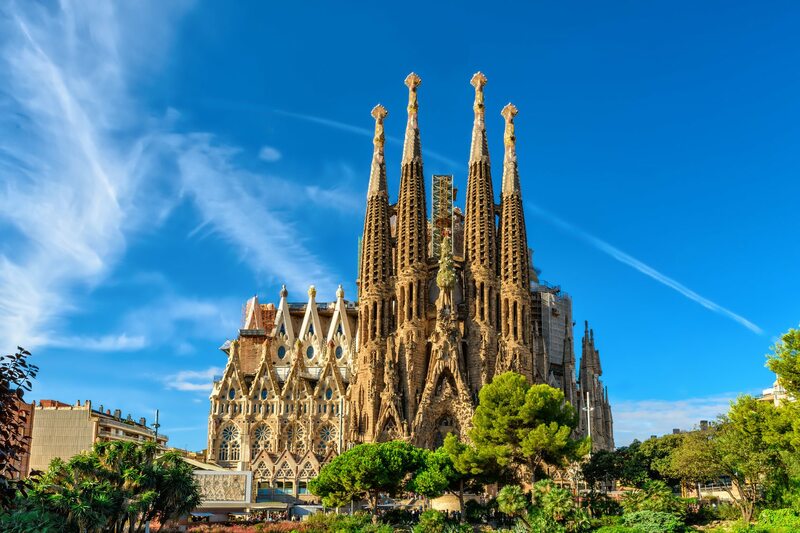 Designed by the renowned Catalan architect Antoni Gaudi the church is a towering monument that when completed will stand as the tallest church in the world. The building is also one of six Gaudi buildings in Barcelona denoted as UNESCO World Heritage sites but stands unique because of its consistent growth as part of the now century plus of construction. La Rambla is a popular street located near the center of Barcelona, running from the Plaça Catalunya to the Mirador de Colom at Port Vell the street is consistently full of life. The long pedestrian walkway that makes up most of the street is famously home to many artists, street performers, and living statues who are keen on entertaining all of the people who pass by while making their way from the port towards Barcelona’s other areas. 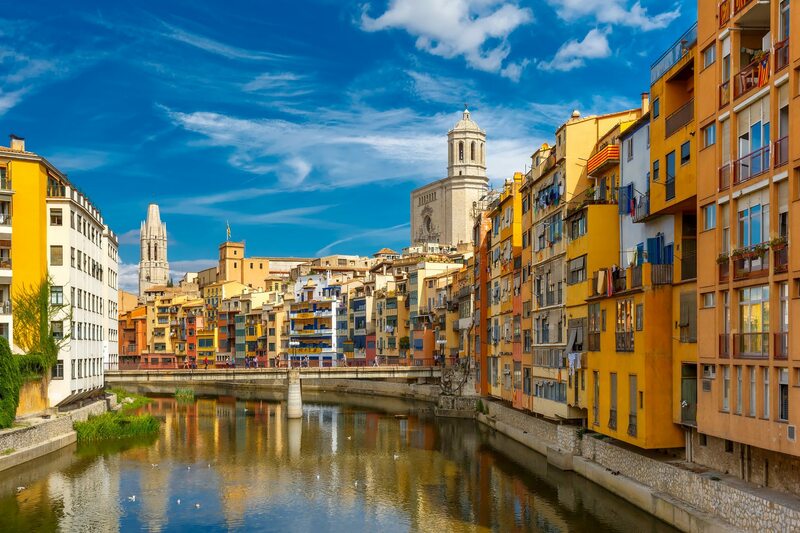 Accessible and well connected, you can get to Barcelona by any means of transportation: by plane, by high-speed train, by boat, etc. In order to travel to the towns of Barcelona, such as in other cities in Spain and Europe in general, find the bus station Barcelona Nord. There are various means of transportation connected to the El Prat airport, passing through the best parts of the city, such as the Plaza Cataluña or la Plaza España: Aerobus A1-A2, Line 46, L77, N17, N16, PR1-R2-R3 y L99. The Barcelona Sants Station connects its trains to different parts of Cataluña (Lerida, Girona, etc. ), as well as other parts of Spain. Additionally, they offer services such as a book store, restaurant, rent-a-car, etc. The airport of Barcelona El Prat is located in the southeastern part of the city (approximately 20 minutes from the city center). It is the second largest airport in Spain, with two terminals, T1 and T2. It departs to places such as: Venice, Berlin, Copenhagen, Paris, London, New York, etc.